Three or four times during the school year, Thelma Jones will choose one of its students to receive the Superintendent's Star Award for outstanding citizenship. 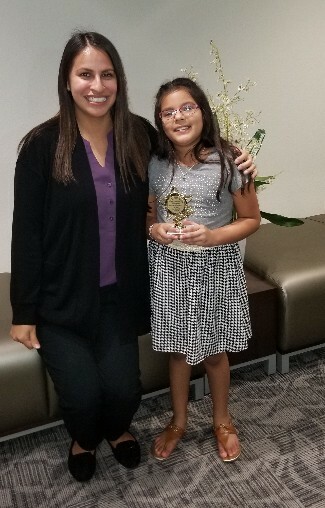 This month's winner is Samantha Zaragoza, pictured below with her third grade teacher Mrs. Escalante. She is the daughter of Jeneva Longoria and Rick Zaragoza. 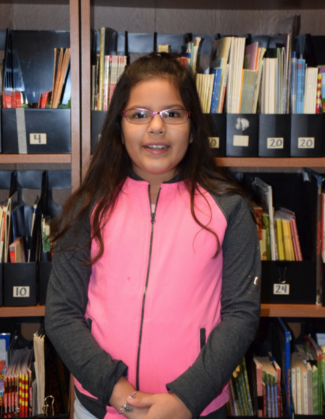 Samantha loves reading and she likes attending school with her kindergarten nephew Jayden and cousin Byron. She also enjoys spending time with her dogs; Pepper, Bently, Arial, and Nikka. Her other pets include fish, turtles, and bearded dragons. Congratulations Samantha!